New Video & Mp3: Airboy Ft. Burna Boy – Ayepo (Remix). 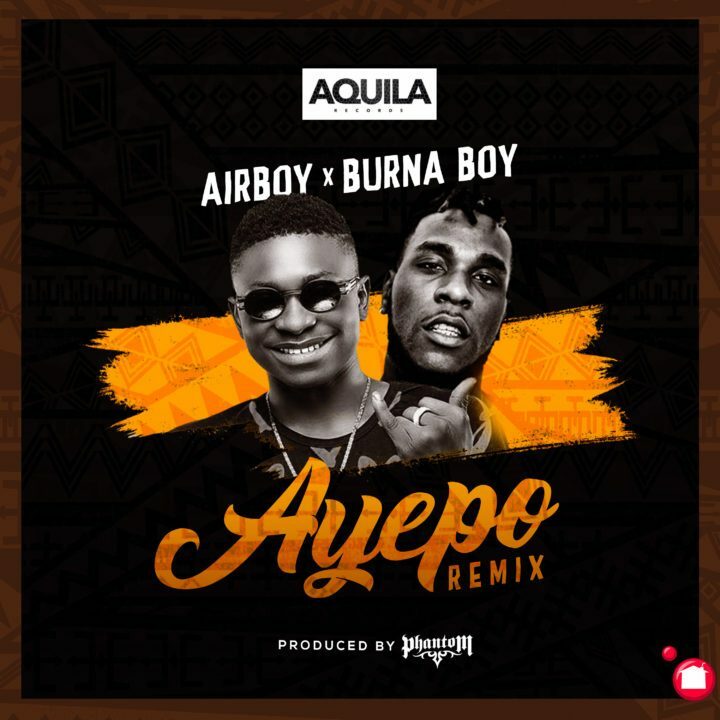 Aquila Records artiste, Airboy releases the remix to his banging single “Ayepo” featuring Burna Boy. The song is off his coming EP titled “Vibes”. The song was produced by Aquila Records producer, Phantom and mastered by George Nathaniel. The EP ‘Vibes” is set to drop on 6th December, same day Airboy having his first ever industry Nite at the New African Shrine. The video was shot on location in Lagos by Adasa Cookey’s Squareball production team.